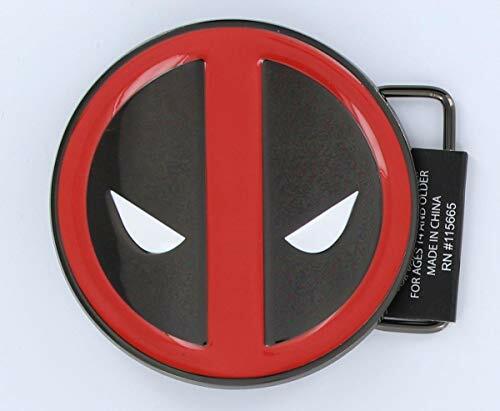 This nifty keychain comes equipped with an authentic SeatBelt Buckle clasp. 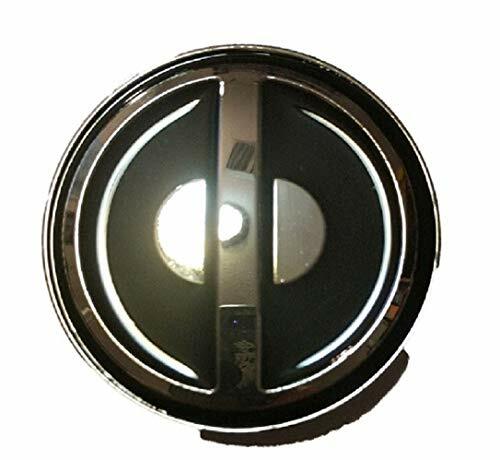 You can anchor it to a belt loop or bag with two stainless steel snaps and conveniently detach your keys by pressing the center button. 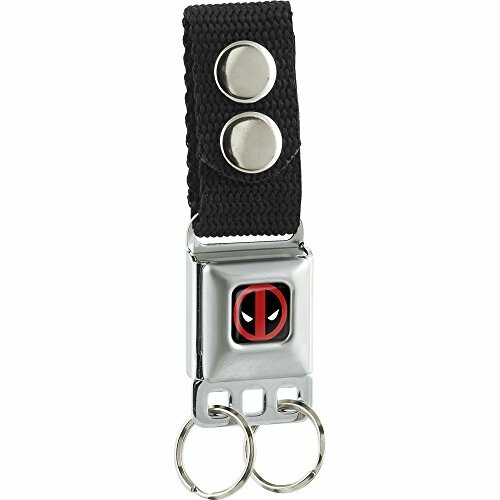 The keychain measures 3.0x1.0x0.5 Inches, and is made from nylon and stainless steel. 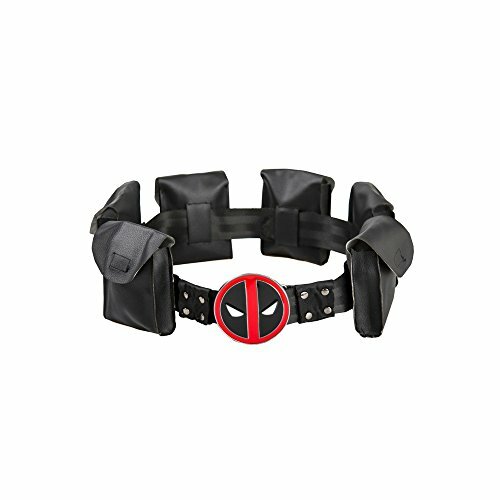 This product is Made in USA by Buckle-Down Inc. and Officially Licensed by Marvel Comics. 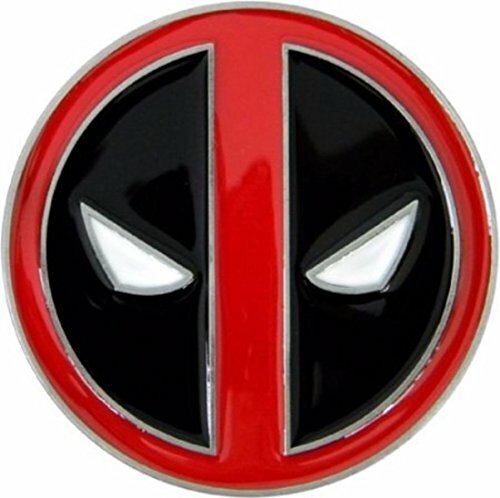 Bring out the hero in you. 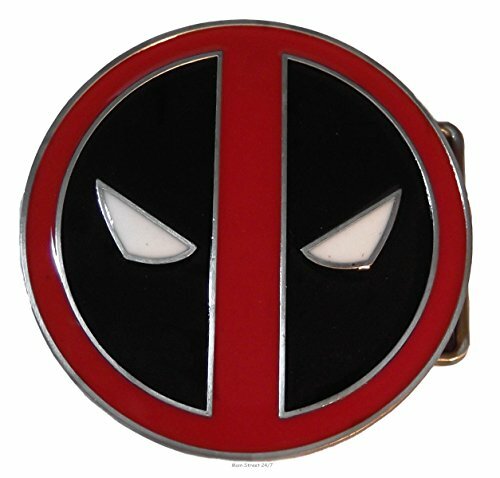 Sport your love of Marvel's Merc with a Mouth, Deadpool, with this stylish metal belt buckle! 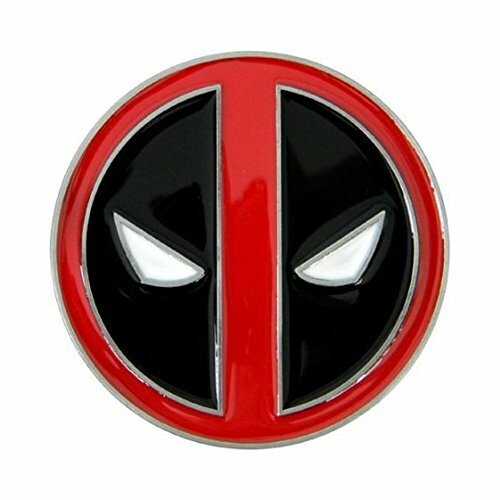 Makes an ideal gift for the Marvel fan. 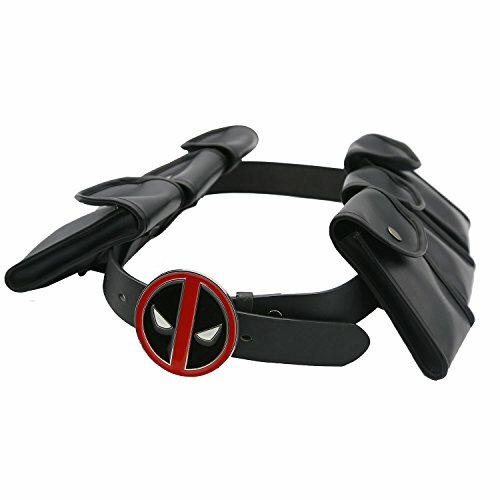 DEADPOOL CHIMICHANGAS BELT POLYESTER BUCKLE-DOWN SEAT BELT STYLE BELT 32" - 52"